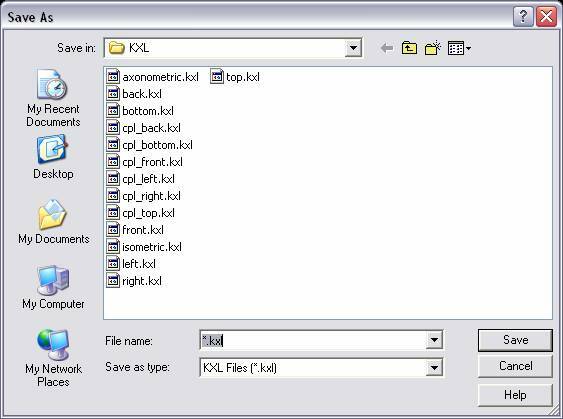 Select KXL from the File>Export submenu. The Save As dialog appears. Specify a directory location and a file name to which the file will be saved. When you are finished, click on the SAVE button option. Select the entities to export, and click ACCEPT.